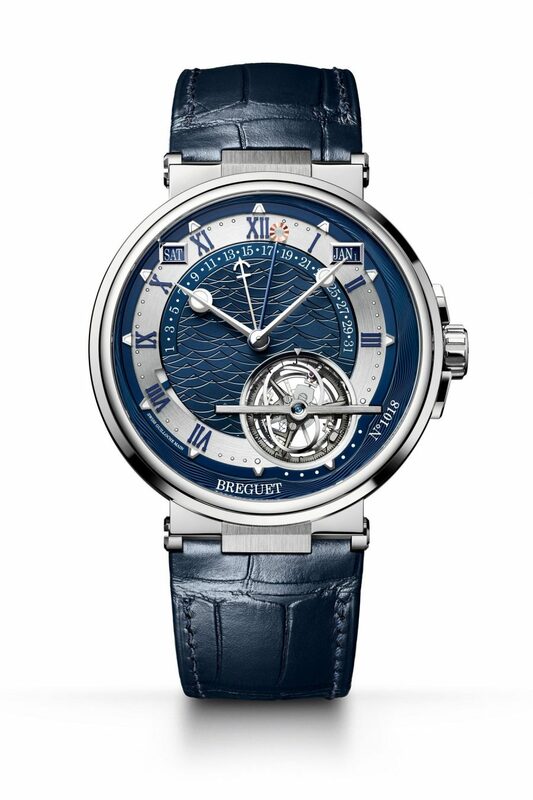 Breguet Marine Équation Marchante 5887. Chanel Première Camélia Skeleton Calibre 2. 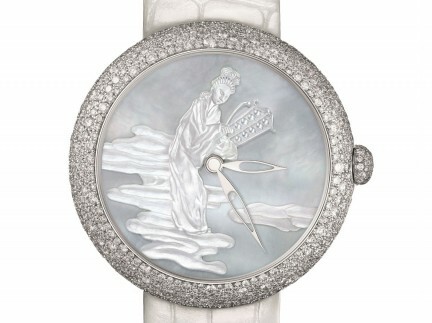 Harry Winston Premier Delicate Silk Automatic. 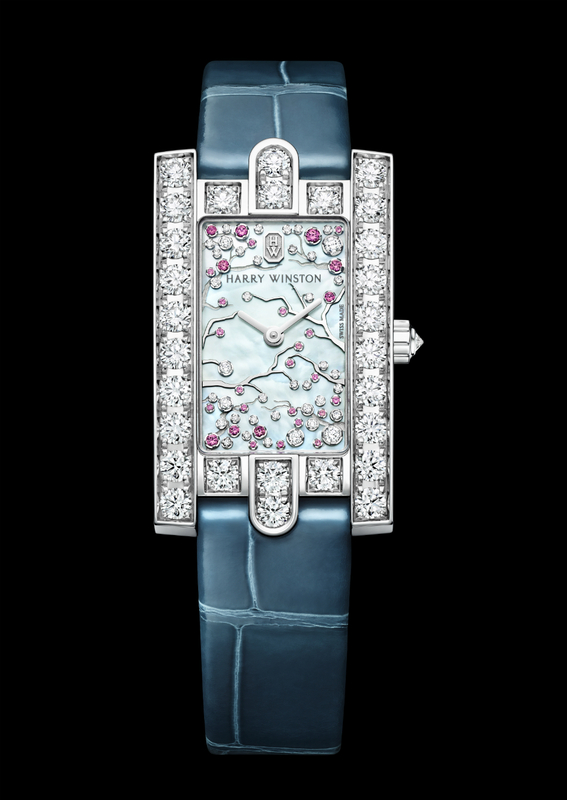 Harry Winston Avenue Classic Cherry Blossom. Each year, the watch industry descends upon the picturesque Swiss city of Basel to announce the latest and greatest models set for market. Baselworld is an extravaganza by any measure, and for a watch aficionado, it is a must-do at least once. And 2017 was no exception to the rule. Breguet this year celebrated its heritage as a maritime watchmaker (Abraham-Louis Breguet was named chronometer-maker to the French Royal Navy in 1815) by revealing the new Marine Équation Marchante 5887. The dial, in blue, with a platinum case, features a wave pattern, a perpetual calendar, and a 60-second tourbillon that enhances the watch’s power supply while maintaining its 80-hour power reserve. This is also available in rose gold, with a white dial. Blancpain also had a bit of marine history on display with its Tribute to Fifty Fathoms MIL-SPEC. The original Fifty Fathoms was introduced, after rigorous testing and with several patents attached to the project, in 1953. 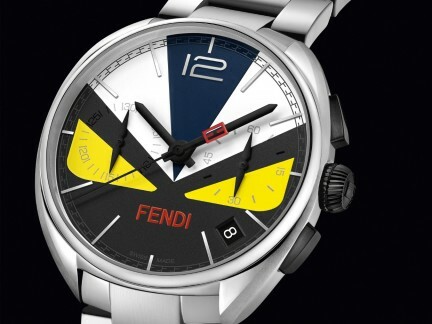 It set the new standard for water-tightness and readability at significant depths, and boasted a unique bezel that allowed a diver to time each individual excursion. The 2017 homage version features a silicon balance spring, black dial, stainless steel case, and clear sapphire back. And it is good to a depth of 300 metres. Only 500 made. Chanel announced the Première Camélia Skeleton collection, featuring the Calibre 2, a complete skeleton watch with the mechanism stylized into the three-dimensional form of a camellia. 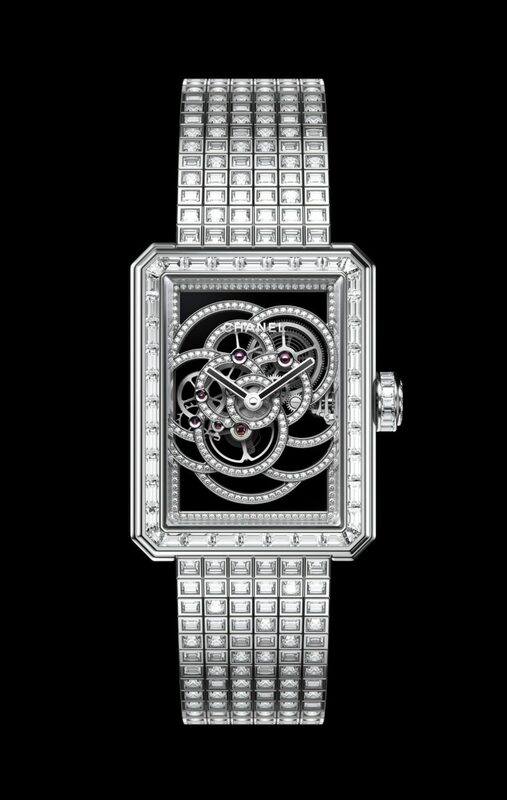 This is the second in-house movement by Chanel. The limited, numbered watches come in three versions: 5.53 carats of diamonds; 7.82 carats; or the 12-only version, with 22.66 carats. 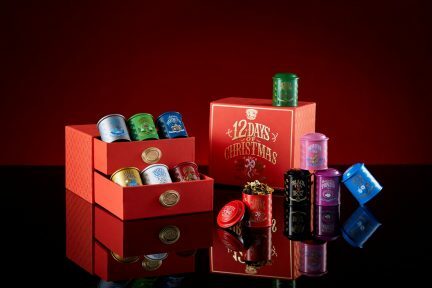 There is usually a buzz around what the designers at Harry Winston will come up with. This year, both the Premier Delicate Silk Automatic and the Avenue Classic Cherry Blossom fulfilled all expectations. 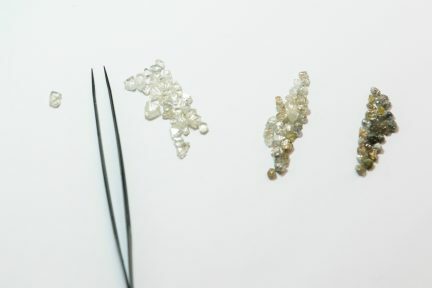 The Delicate Silk models, part of the Premier collection, are a monument to nature; silk worms directly provided the samples, untouched by human hands, which were then dyed (royal red, silvery gray, imperial pink, and pure white) before being embossed, in an innovative procedure, with gold, and adorned with 57 diamonds on the bezel and lugs of the watch. The white and pink models have a floral theme; the red and gray, a star motif. White or rose gold cases complete the picture, and only 30 of each version were made. 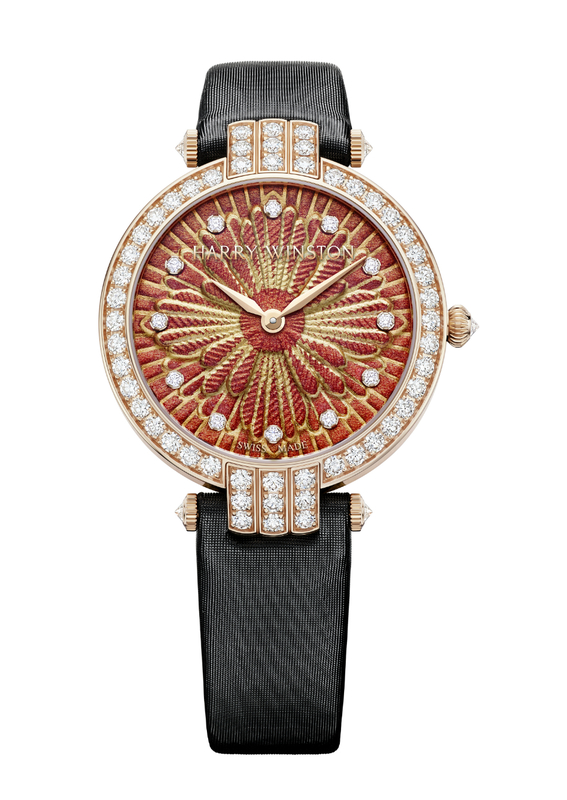 Then there is the sakura-themed Avenue watch, which has a white gold tree, on a mother-of-pearl face, with various-sized white diamonds (39 of them) and pink sapphires (29) creating a flower and petals effect. As with all of the Avenue collection, various design elements evoke the iconic Harry Winston boutique in New York City. These are but a few of the marvels that were on exhibit at Baselworld 2017. Mark March 22 to 27 in your calendar, for 2018. Stay on time. Read more jewellery and watch stories here. Entrancing watches for enchanted nights.